The eighth-grade journalists at James Lick Middle School are approaching crunch time for this season’s issue. Slick, the middle school’s official lifestyle magazine, features articles and essays chosen by the students, and in conjunction with 826 Valencia, this group produces two glossy issues each year. 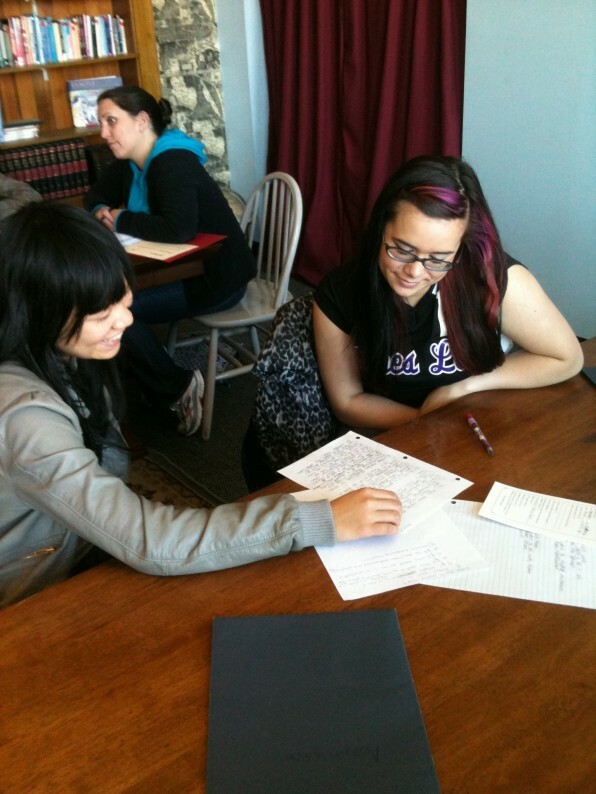 Gaia (pictured above) is investigating the qualities of teenage love with her tutor, Thao. Is young love real love? To find out, keep your eyes peeled for the next edition, hitting bookshelves in May.